Showing up at a location and photographing nature by literally recording the moment is different from capturing nature as an artist feels it should be viewed; using light, weather, equipment, and an artistic interpretation to show Mother Nature’s beauty and power. Both methods are useful in photography, but each has a distinct time and place. My goal is always to make each image intentional, represent my artistic vision, and create a piece of art that I and my customers will love for a lifetime. Producing high-quality work is very important to me. To achieve this, I pay special attention to the interplay between light and landscape, use cameras that provide a high resolution, and only show images that are up to my raised standards. You will see this on my site. For instance, not every image in my catalogue is shown on the site. If I feel an image does not look good in color or black and white it is not sold with that option. If 35mm film was used to capture an image it is not offered in sizes above 11x14 inches. And I continually assess the images on my site, always replacing images with better photographs. I have been in the photography business for over 20 years, and during that time have seen tremendous changes in photographic technology. I started out, as most photographers my age, shooting 35mm film on my father's Nikon F camera. In time I moved up to medium format cameras, and eventually created art with my Wisner Pocket Expedition 4x5 camera. For many years my 4x5 was the camera of choice, not only for a higher reproduction quality but also because I was (and still am) in love with the process of shooting 4x5 film. 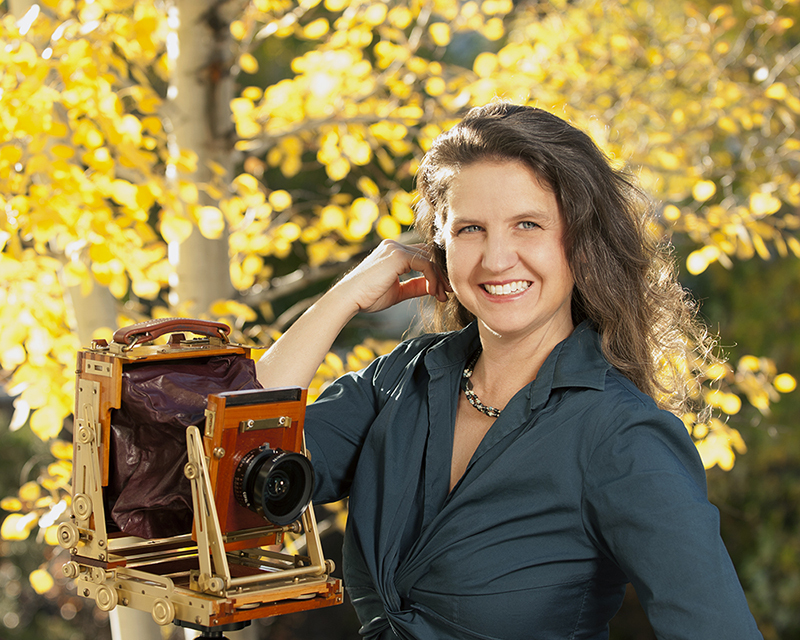 A large format camera forces the photographer to slow down and think more. And in order to carry the weight of the 4x5 and its accessories into the woods and up the mountain (not to mention carrying the expense of film and Polaroid) you must be committed to the process and to each shot. But time moves on, and so must we all. And though I still have my 4x5, these days most of my work is captured by my high-quality digital Nikon D810 camera. With it comes the advantage of less money spent on film, the immediacy of seeing images, the ease of making prints without scanning transparencies, and experimentation with stitching programs to create panoramic images. So, I now have access to the best of both worlds. With every shot, I try to keep the attention to detail and thoroughness learned from the days of film, while integrating the advantages of the digital process to produce high-quality fine art for my customers. I have always been involved with creative projects. As a child I performed voice work for radio commercials and spent many days per week at a dance studio. As an older child I became heavily involved in the theatre, performing in many shows. When I entered college I had two majors, theatre and art, at Hillsdale College in Hillsdale, Michigan (where I received my BA degree). My instructors at Hillsdale gave me a strong education in art history, drawing, painting, and sculpture. After graduation, I went on to study graphic design at Western Michigan University in Kalamazoo, MI. I was forced to take a photography course, and fell in love with the medium. I dropped graphic design and took every photography course Western had to offer. Additional classes in ceramics and education have been completed at other institutions. My career has been varied, working as a Staff Photographer for R.J. Michael's, Inc. (an advertising agency in Jackson, MI), Studio Manager and Second Shooter for Don Jones Photography (a commercial photography studio in Colorado Springs, CO), and twelve years as both an art and photography faculty member and head of the Professional Photography department at Pikes Peak Community College. I still weave my love of theatre and dance into my non-landscape related work by photographing stage productions. And on very special occasions, you can see me dancing in the landscape while I'm waiting for the sunrise (mostly to keep warm on a cold morning in the mountains). Judith currently resides in Colorado Springs, CO with her husband and three children. LISTEN TO JUDITH'S INTERVIEW WITH MIKE PACH on The Photo Show on KCMJ-LP 92.9 FM radio. Visit Judith's author page on the Pikes Peak Library District's website.